I give thanks to God above for leading me to Ms Dee at Jump Smart pre k program. My son started at age 2 a little over five years ago and my daughter just before she turned 2 over 3 years ago, have both been blessed to be accepted at really good schools starting in kindergarten. My son was accepted into a classical school and my daughter in a regional gifted center. Ms. Dee really puts her heart into really working with and teaching the children valuable lessons. 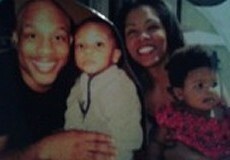 Thanks Ms. Dee for all of the hard work and love you've given to my children. It will not be in vain. Thanks for helping me. I only have wonderful things to say about Jump Smart Early Learning Academy! My son attended from age 3 until he began Kindergarten and was more than prepared for the transition. My son is a smart, active and strong-willed little boy that could be easily labeled as challenging, but Mrs. D was always patient, kind and challenged him to be and do better. She always kept us informed on his behavior and experiences and offered suggestions that were insightful and useful. The children began learning to read early on and STEM was major part of her curriculum. Mrs. D always kept it fun and interesting for the children. My son loves Mrs. D and still attends some days when CPS is closed. He'll be her little helper for as long as she'll have him. 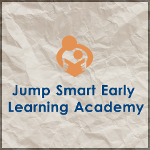 Jump Smart Early Learning Academy is a great place to enroll your child. It takes a village to raise children and Ms. Dee and her staff are the village you need. Ms. Dee and her staff are wonderful educators. They treat your child like their own. My son attended Jump Smart from about age 2 until Kindergarten. I credit Ms. Dee and her staff for helping my son develop into the smart, well-mannered, confident and curious Kindergartner that is today. From learning about the importance of healthy eating to treating each person respectfully,to learning about current events, reading and counting, your child will leave well-rounded. Ms. Dee is constantly adding different activities and stations at the school. It is so much more than a home daycare. Enroll your child, you won't regret it. I ♥ jump smart academy. Cam'ron wouldn't be as prepared for kindergarten if it wasn't for Ms. Dee, Ms. Lo and Ms. Danielle. Everyday I watched my child grow from being a shy quiet little boy to an outspoken little man. He always was excited to learn his lesson n go on field trips. The way that Ms. Dee teaches the students is just amazing. She a very patient teacher n gives each child their own special attention. We love you Ms. Dee and wish you the best on your journey to advance jump smart to the next level. This place is warm safe learning environment for little people. 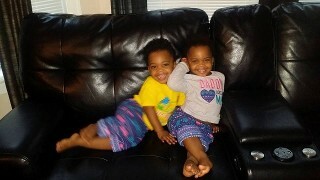 Dee holds hugs n kisses these babies My 3rd grandchild attends this school. I know it's a great place. I want to recognize Decarla Burton AKA Ms. Dee and her staff. She is both an excellent daycare provider and educator to kids. Since the girls have been in school they now come home singing their ABC's, counting into the 20's, reciting the days of the week and the months in the year, plus they sing this lil cute "Clean Up" song when they are straightening up and they're only 2 years old. You have done wonders with our girls and we are very thankful. — feeling appreciative. Judy M Snyder I so agree I am the proud grandma of 3 of her students. The oldest is at UCLA studying science. Doing very well too. This comes from a great foundation starting from age 1. Decarla Burton has always been a strong supporter of young children and their development. I told you she was the best. I won't move because Alex has to finish with her. Dee is what made my child valedictorian of her high school and put Nina in a gift program!! And I agree. My son has made a HUGE improvement in his speech and overall communication thanks to these ladies. Everyday Maurice amazes me with something new that he has learned at school. My name is Elysee Isles and I’m an alumni parent of Jump Smart Early Learning Academy. My son Joel Isles II attended Jump Smart during the years 2000 to 2004, he is now 16 years old and has done very well in school. Joel Isles II left Jump Smart early and tested at St. Thomas Moore Catholic School. He scored well and was accepted at age 4 to their kindergarten program. This was one of the best decisions my husband and I made when we selected Jump Smart Early Learning Academy for our child. Joel is now a junior at Harmony School of Political Science in Austin Texas. He is the captain of the basketball team and is a good student academically. He is a member of the Junior Explorer of Leander Police Department in which he learns all about the important jobs of law enforcement. The Leander Policy Department supports the development of strong ethical values in local youths through mentoring and community activities. Joel looks forward to enrolling in college and possibly studying Criminal Law. He enjoys Music and Art and you can often find him making beats and writing music. We love Ms Dee and thank her and the staff for preparing our son for the future and giving him such a positive start in life. Thank you for all that you do. This smile-box that you sent me showing me how well my kids are doing nearly brought tears to my eyes. I remember when I brought my son David to you at just 3 years old, and just a year later, I brought my daughter Celia to you at just 2 years old. As active parents in our children's education, my husband and I have had many conversations about how we believed our children to be doing in your school. As a credit to you, while our children were enrolled in your program, Tailored Beginnings and the Skinner Pre-School Program, which are known throughout the community as being the pre-school programs of choice, invited my children to attend their school. My husband and I mutually agreed that our children could become more academically confident, socially and emotionally more secure if they remained in your program. We know that you genuinely love our children and have a passion for early learners. Your staff is a tremendous complement to you and they equally care about our children's growth and development. My son David has grown by leaps and bounds academically, performing at kindergarten levels in all subjects and 1st grade level in others, particularly Math. He really loves sorting, defining patterns and learning the principals of addition and subtraction. We know that he will love multiplication when the time comes! Socially, he has grown tremendously and we know that he will continue to become even more confident because of the foundation that you, Ms. Danielle and Ms. Lo Lo helped to build. My daughter Celia is doing well in your program and is reading small books, we are in awe, as she just turned 3 in July. She loves learning Spanish and has an eye for phonics at such an early age. We are confident that as parents we've done a good thing for our kids by partnering with your program. The JumpSmart Early Learning Academy is a tremendous Day School and though you have a full day component that allows a mid-day nap, I know its only because our kids need it! You are a credit to Early Childhood Education and as I have already referred many parents to you, I will continue to do so. Thank you for all that you have done and will continue to do to impact the lives of not only my children, but those that may become their friends and our future leaders. Blessings to you and your team. Thank you for everything! Jump Smart Early Learning Academy Home Daycare played a huge role in my childhood. Some of my earliest memories begin with me growing up there and the fun things we used to do. I strongly believe the foundation of ones’ success is initiated in the beginning of their life. Following Ms. Dee’s Jump Smart, I’ve graduated from Robert A. Black Magnet, Kenwood Academy, and currently attend Xavier University of Louisiana. I’m a Chemistry/ Pre-Pharmacy major, and intend on applying to pharmacy school to work towards my Doctorate of Pharmacy (PharmD) this upcoming fall. Afterwards I wish to pursue a career in a more specialized field of pharmacy such as nuclear or either become a Medical Science Liaison (MSL). Ms. Dee will forever be a prominent figure in my life. Stay Tuned More Alumni Coming Soon!